Whether on the road, or staying at home, the Jewelry Roll keeps rings, necklaces, bracelets and all other sparkly things neat and organized. 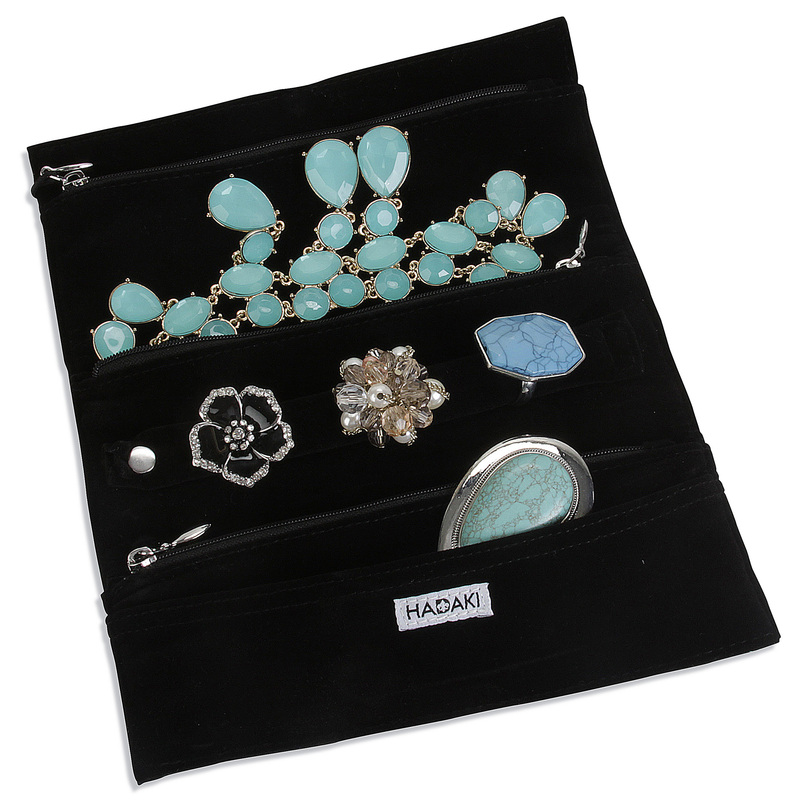 The interior is lined with plenty of options that cradle your jewelry in soft velveteen. The Roll features a ring display so you can easily find your favorite finger accessory. Three zippered pockets, with multiple interior organizer pockets, and one slip pocket keep everything else in its place.